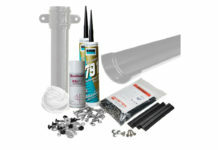 Home Rainwater Systems Grey is the new white! Freefoam Building Products says there is an undeniable trend within the housebuilding market from white towards colour when choosing replacement windows, doors and roofline products – and grey is rapidly becoming the new white! The company says it is seeing these market forces converting into sales and have seen a significant increase in orders for Anthracite Grey fascia and soffit during the last year. 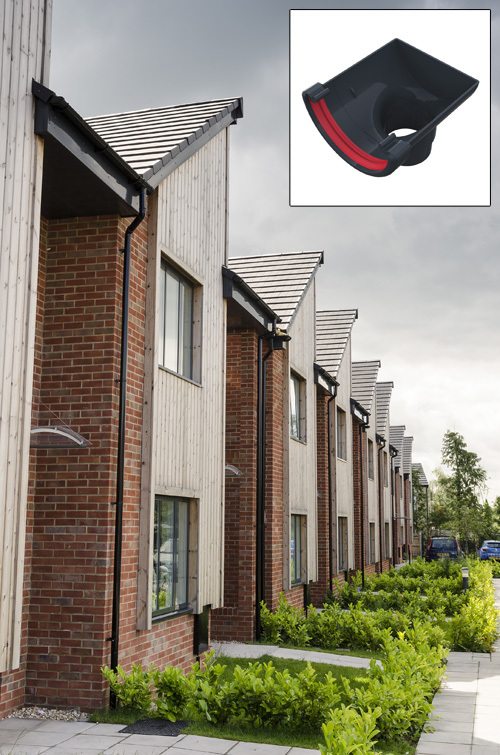 Architects, specifiers, builders and developers can now create a fully coordinated roofline for their clients by offering Freefoam’s new Anthracite Gutter. Introduced last year, the Anthracite Grey rainwater range is an exact match (RAL No.7016) to its fascia and soffit products and coordinates with many shades of window frames and door finishes. 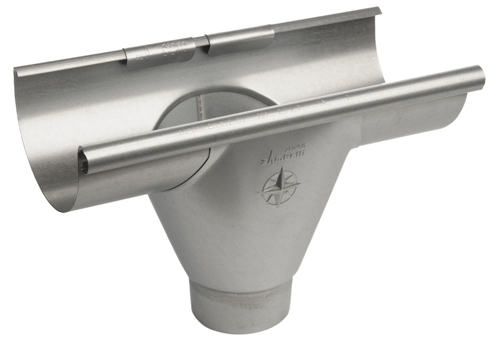 With a 77mm depth and a 116mm width, the Deep gutter is designed to manage the increasing levels of rainfall that are being experienced throughout the UK. Available with the full range of matching fittings including Union Brackets, Running Outlets and Hoppers, and manufactured using co-extruded PVC-U, Freefoam says the Freeflow range offers a long-lasting, leak-free, no-fade, low-maintenance solution all with a ten-year guarantee. Like the existing Freeflow rainwater system, Freefoam manufactures Anthracite Grey products using the co-extrusion method to create a white interior and darker exterior colours. 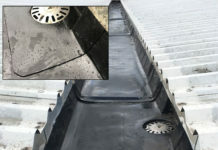 This is Freefoam’s solution to the problems associated with rapid heat absorption and expansion of dark coloured gutters, which can cause leaks and noise when they cool down. A white interior reduces heat absorption and subsequent expansion along the width and length, dramatically decreasing the probability of leaks. 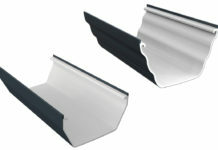 The new Anthracite Grey rainwater range is manufactured using Freefoam’s patented ColormaxTM technology – an advanced master-batching process with a blend of natural PVC and pigments that are simultaneously co-extruded to produce built in colourfastness, colour variety, and reliable colour matching, all with a ten-year guarantee.